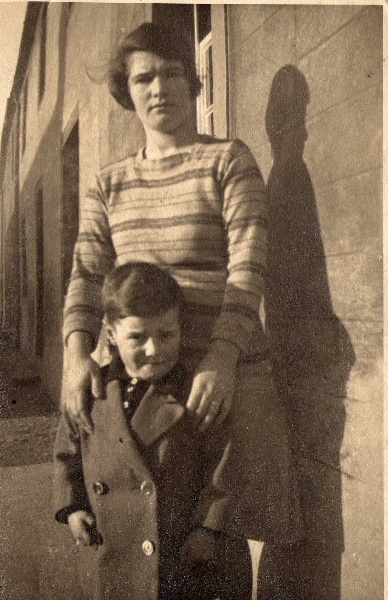 My late grandmother, Catherine (Cathy) Askew and my late father, Hamish Askew, standing outside the then family home at 65 Clyde Street, Invergordon. The photo would have been taken about 1930. Yesterday, I commented on picture #1192 of Hamish Askew about my brother's quest to find him back in 1985. Searching further among old family papers I found another postcard written by my brother Ian from that same trip to Invergordon. In this card he relates: "Found Hamish Askew yesterday. His mother Cathy Askew (80) now living in Inverness, Jim died in 1965". There certainly seems to be either a family connection, or a very close past friendship between a member or members of my family and the Askew family. I do hope you may be able to shed some light on this most interesting finding. Hi Jim. I am Hamish Askew's son, Graeme. You can contact me on graeme.askew@yahoo.co.uk if you wish. I will try and fill in any gaps re families if possible.